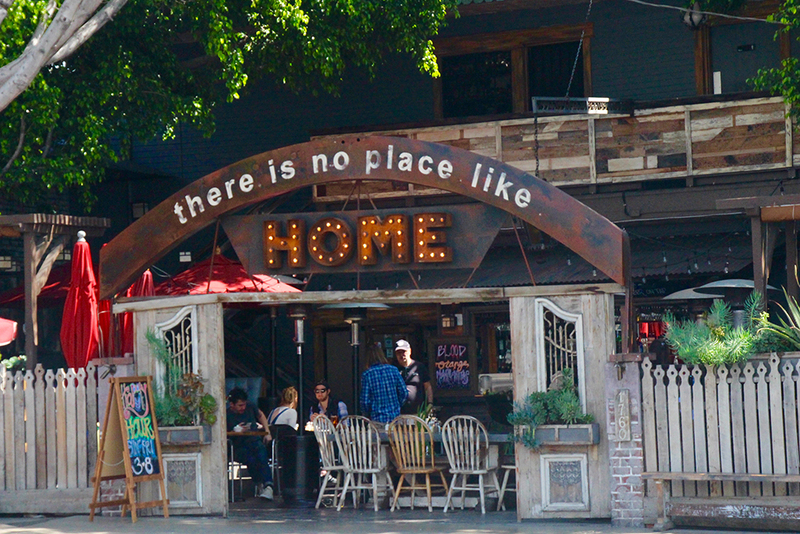 The Los Feliz neighborhood is one of the most unique in LA; the vibe is hipster meets small-town tourist destination, and there are plenty of things to see and do. 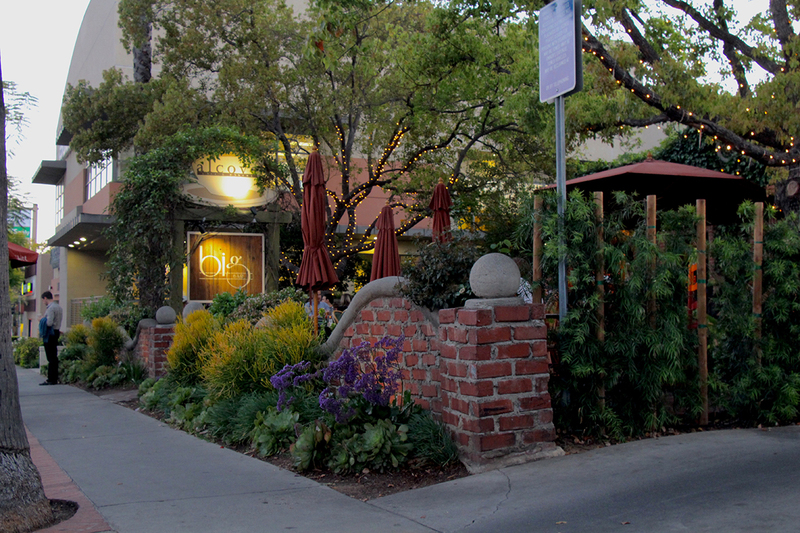 Of course, this neighborhood features quite a few top-notch restaurants. Whether you’re in town for a visit or just passing through, check out these restaurants that The Culture Trip has named the best in the Los Feliz area. The magical ambiance of Alcove Café & Bakery is one if it’s best features. The bar area inside, which is referred to as Big Bar, is open and airy with lots of old-world charm. Then, the main dining area, an outside brick patio with colorful tables and strings of twinkling lights, looks the perfect backdrop for a garden party. The food selection is varied. Try the blackened chicken salad, brie and apple panino, or the adobo burger but save plenty of room for the seemingly endless selection of desserts. The red velvet cake pairs perfectly with a cappuccino. Any visit to Palmero will make it feel as if you’re visiting with long-lost (Italian) family. The owner walks from table to table, checking in on customers and making sure everything is up to snuff. If the place is packed, they’ll give out free samples of wine to take the edge off of the wait. 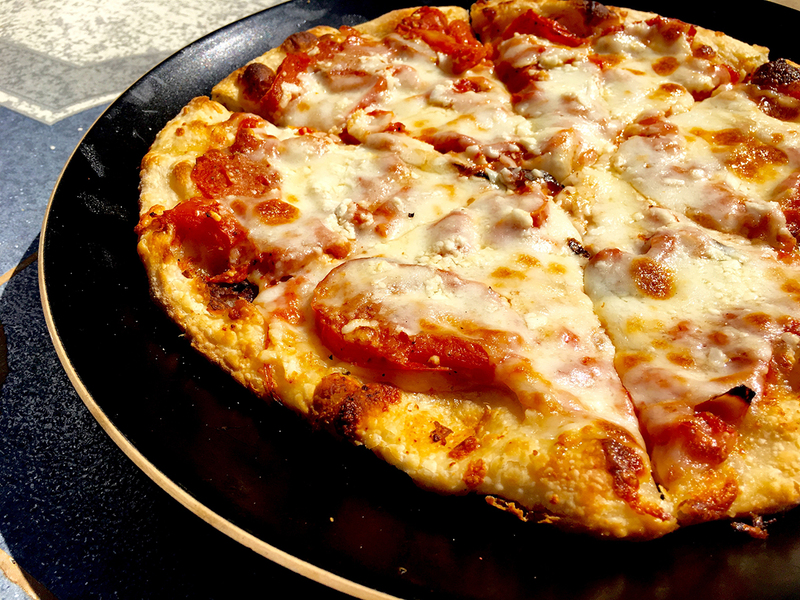 Instead of bread, Palmero serves slices of pizzarosa; a thick, crispy-crusted pizza topped with feta, mozzarella, parmigiana, and fresh tomatoes. The main dishes, like the chicken parm, linguini with clams, or Palermo scaloppini, come in large, shareable portions and are best paired with one of Palmero’s many wines. The Los Feliz neighborhood does a fantastic job at making locals and tourists feel right at home, but the restaurant Home brings this feeling to a whole new level. The main dining area is large patio lined with trees that provide a natural canopy from the sun; the perfect setting for hanging out with friends. The food is Americana with plenty of delicious and healthy options to try. Breakfast often draws big crowds, with options that range from healthy vegetarian burritos to decadent red velvet pancakes. With any visit to the Dresden, you take a step back in time. This establishment has been serving dinner and drinks since 1954 and the décor seemingly has not changed much since then (in the best possible way). If you’ve seen the movies Swingers and That Thing You Do!, the Dresden’s lounge atmosphere and impeccably dressed staff may look familiar. The food here is classic Continental cuisine; the Prime Rib is a must. Diners will also enjoy the lounge-style cover songs performed by the Dresden’s live entertainment. 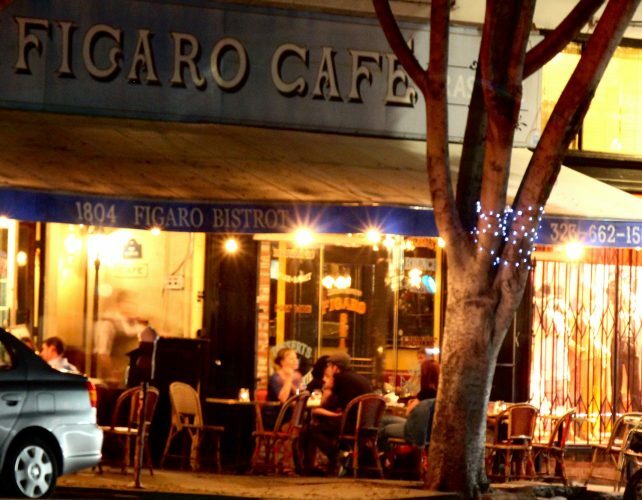 If you want to feel as though you’ve been transported to a quaint French bistro on a Parisian side street, then the Figaro is the place to go. The escargot is one of this restaurant’s best dishes, and you can try it for happy hour prices if you time your visit right. In fact, this place is perfect to visit at any time of day, whether you’re looking to indulge in some café latte and macaroons or a formal dinner of marinières, carpaccio de boeuf, or poulet a la dijonaise. Where else can you go every Wednesday night to enjoy high-quality comfort foods while watching actor Jeff Goldblum play piano? That’s right, only at this Vermont Street restaurant. 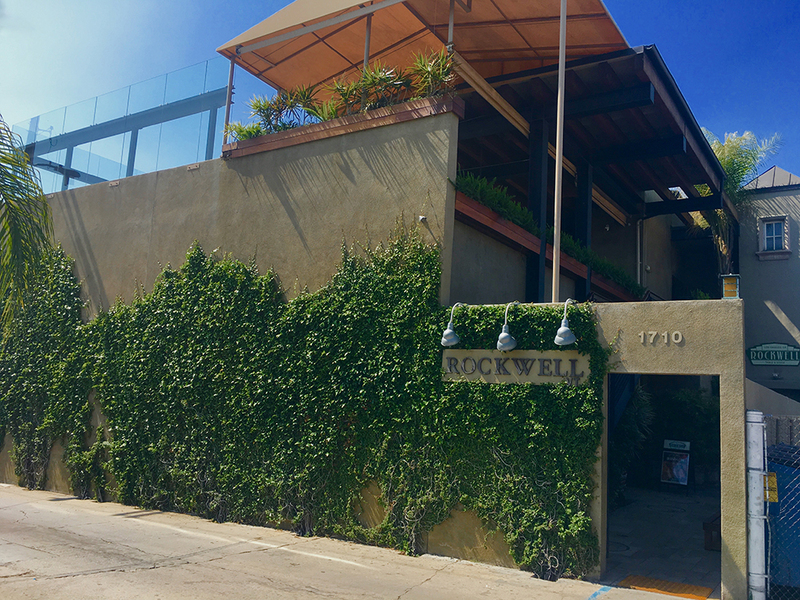 Aside from Goldblum, Rockwell Table & Stage is an elegant yet casual place to grab some food with friends, family, or date. While the menu offers full dinners, most tables end up ordering and sharing dishes like the mac and cheese, spicy tuna tacos, and wood stone flatbreads. 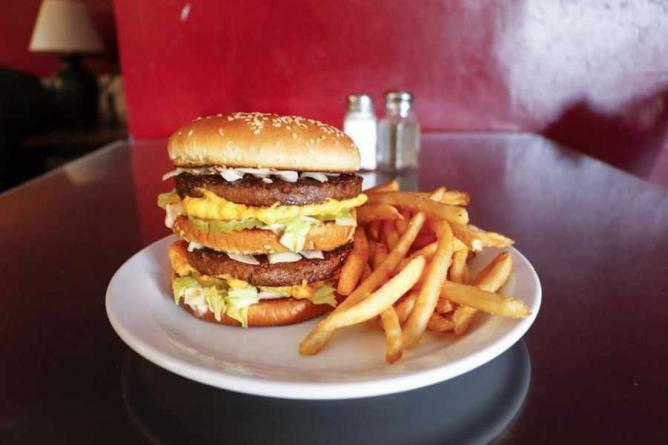 There is something for everyone at this eclectic vegan restaurant. From breakfast burritos stuffed with soy bacon bits to pepper ‘steak,’ pineapple curry, and lentil burgers, this is not a run-of-the-mill, limited-option vegan joint. The atmosphere inside is casual, making this a fantastic place to nosh on something healthy before heading out to explore the Griffith Park Trails. 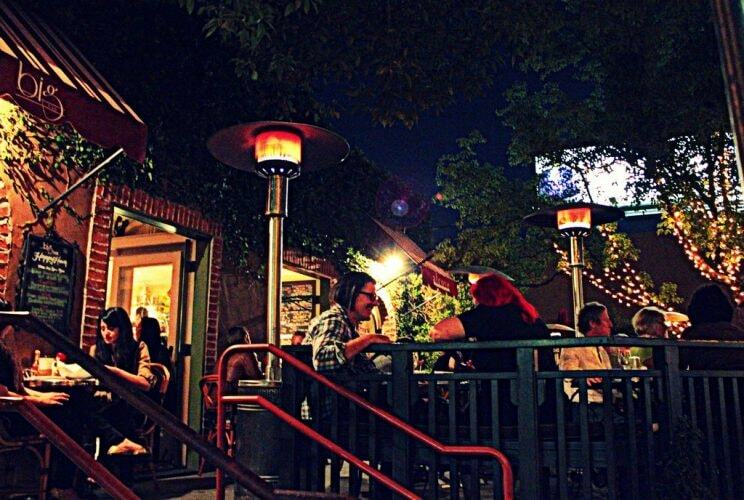 1739 Public House is the local watering hole of Los Feliz. It’s where everyone gathers, day or night, to grab a drink, chow down on some pub food, catch the game, chill with old friends, and make some new ones. The pizza is surprisingly delicious, and the atmosphere is always laid back. You can’t beat the specials either; happy hour offers customers free taquitos with any beer purchase. When it comes to providing fresh and inspired dishes and cocktails, Messhall is simply not messing around. This sleek and modern gastropub is a far cry from what you would usually find in its namesake. The oyster bar here is very popular, as are the crispy Brussels sprouts. Then, there’s brunch. Enjoy a cold brew with a breakfast sando (pilled smoked pork, egg, red chili aioli, cilantro slaw on a brioche bun) and call it a weekend. 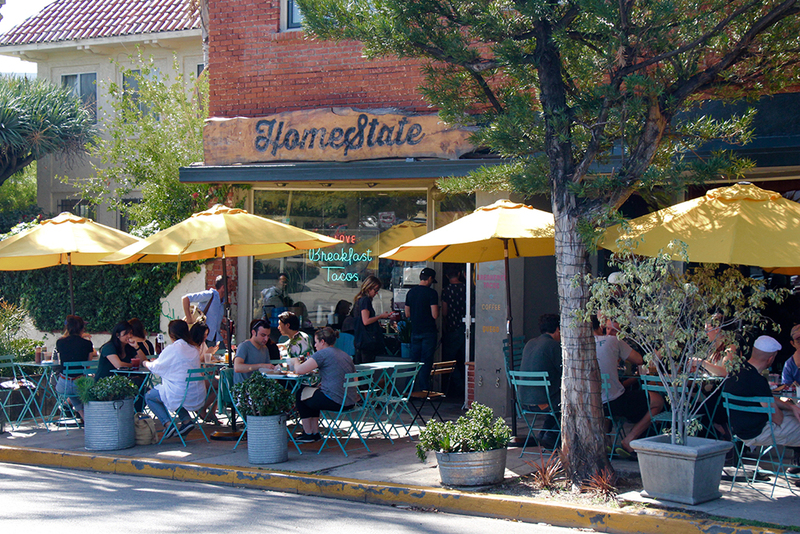 HomeState serves Texas-inspired treats for breakfast and lunch. While California knows a thing or two about tacos, the Lone Star state certainly has it beat when it comes to the breakfast variety. Fortunately, HomeState brings this delightful dish to the Los Feliz area. Try the pecos with eggs and shredded brisket or the trinity with eggs, bacon, potato, and cheddar. The queso dip and/or Frito pie in a bag is another must.